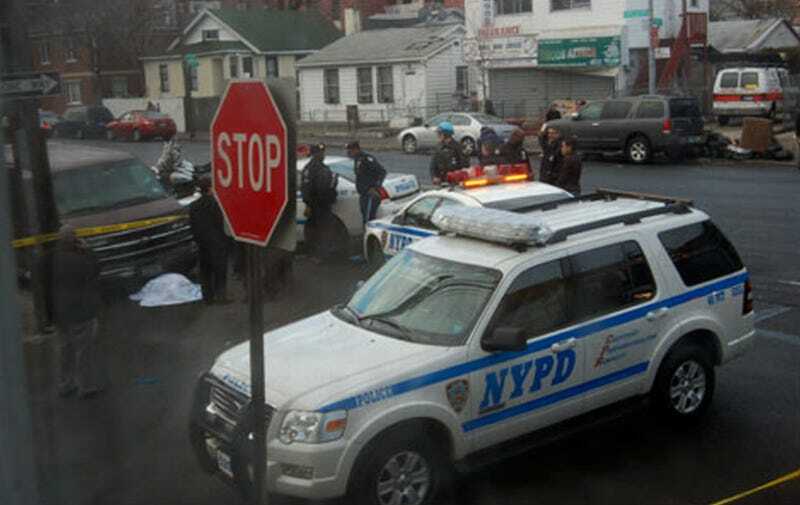 Early this morning a man in New York City was struck by an SUV while crossing the street. He was then hit by another van and dragged for 17 miles, dying along the way. The red van, owned by Cancun Express Car Service, was spotted at a Coney Island with something hanging from the undercarriage. It turned out that the driver had run over the victim after the initial accident and dragged him underneath the van for 17 miles through the streets of Brooklyn. Unfortunately, the man died at some point along the way. The event currently isn't being seen as a criminal case because the driver was unaware he had a body lodged under his van. Our condolences go out to the victim's family and we offer this word of advice to all of you: Please be aware of what you drive over and if your car suddenly seems to be acting strange, please stop and check it out. There's a potential that the strange sound you hear is something way more serious than you'd ever imagine.